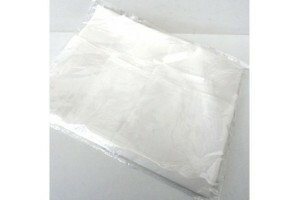 Individually packed long pure white art silk offer.. 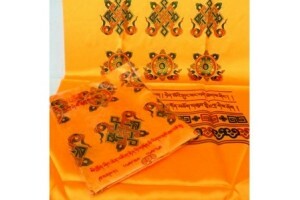 Individually packed offering scarves (kata). Orang.. 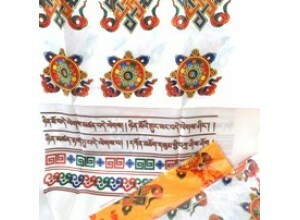 Individually packed offering scarves (kata). 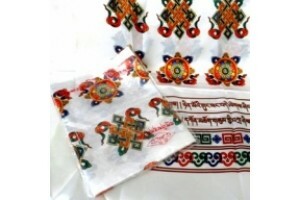 White..